My silver paw print pet jewellery is a beautiful way to cherish your pet or remember a loved and lost pet. I am a huge animal lover myself. As well as running the hedgehog hospital, I have two rescue cats and also ‘borrow’ a doggy for walks. My silver paw print jewellery is pawfect for any pet lover. I can make pawprints as charms, pendants, bracelets, tie pins, cufflinks, keyrings and earrings. All the designs are made by me by hand and they are hand sanded and polished. All the proceeds support my hedgehog hospital and help pay for food, medicine, equipment and vet bills. My hedgehog rescue is entirely self-funded so it’s a really vital source of funds. I can personalise the pawprint jewellery to create something unique for you, including using gemstones or different colours of Liberty ribbon. I can also hand engrave the name of your pet on the reverse of the jewellery. Solid silver pawprint heart on Liberty fabric bracelet. I could also make a pendant on this fabric and have a wide variety of colours to choose from. If you are looking for something extra-special to remember a lost pet, I can also embed . pet ashes into the centre of the jewellery. You can’t see it but it will always be there, right next to you. Please get in touch if you would like a custom piece of jewellery. Solid silver pawprint heart with inset Blue Zircon gemstone. I can use a wide variety of gemstones. I run a hedgehog rescue in York, England. You can find out more about me here and also how to support my work. 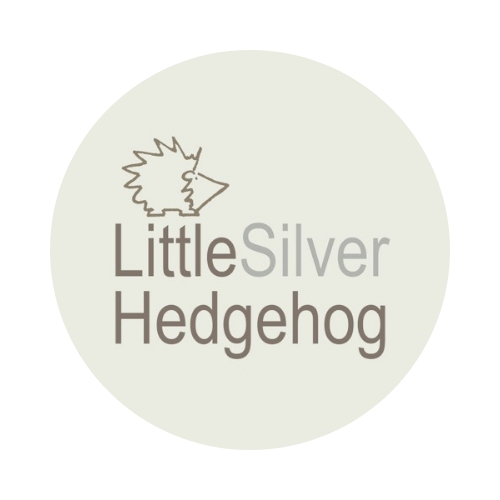 My handmade silver jewellery shop is online here.